I having been working on a commission. 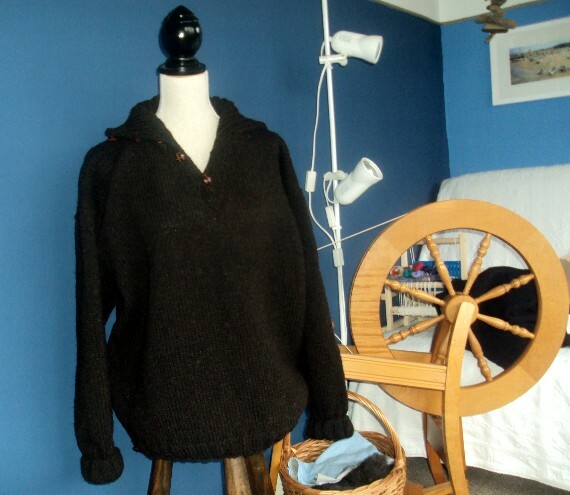 It is a hand knitted man's sweater in Organic Black Welsh Mountain Wool. 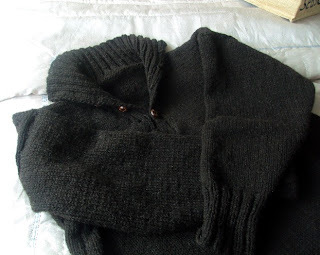 I have enjoyed knitting with this very much and was particularly pleased to be working on this order through the month of March, (which has been the coldest here for 50 years) as it has kept me warm as it grew on my knitting needles into the sweater you see here! 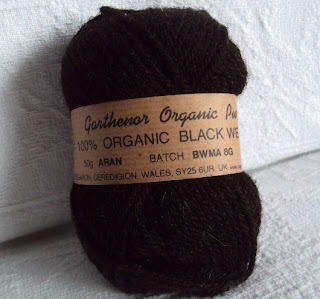 The wool is soft but sturdy too. My client wanted to have it knitted into a replica of a faithful old sweater, so I borrowed the sweater to be reproduced and worked out the design from it. 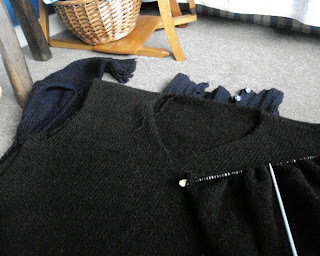 Checking a match as I worked, note the old sweater underneath the new piece of knitting. 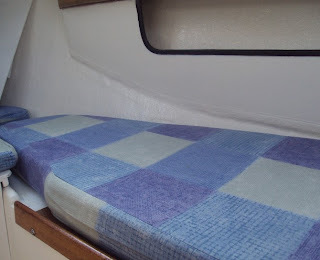 After blocking and sewing up. 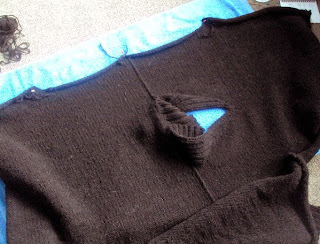 An item of clothing that will last for years, looks good and feels wonderful to wear. My client is thrilled. It feels so right choosing beautiful natural real wool from British farms to hand knit in the traditional way. Work has finally been happening on our little yacht. 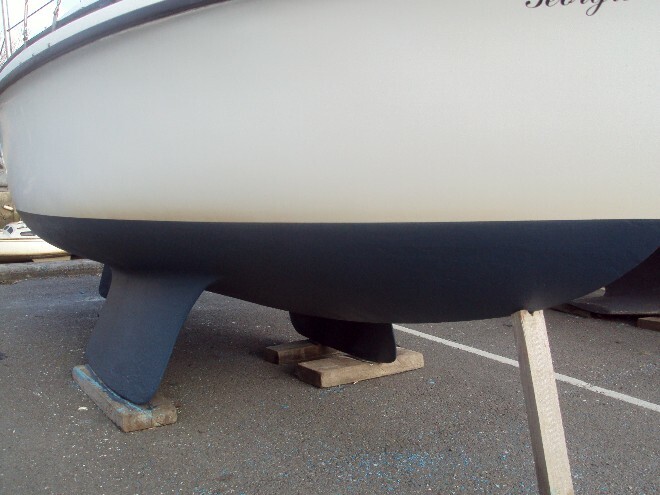 Skipper has been able to apply the anti-foul paint to her keel, work on the deck and rigging done and mainsail fitted ready to sail. 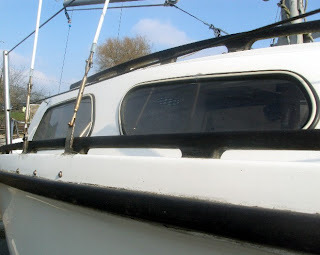 As you can just make out in the photo we had a sunny day with blue skies for fitting her out. I joined Skipper down at the harbour and although it was a cold crisp day we were able to get a lot done. 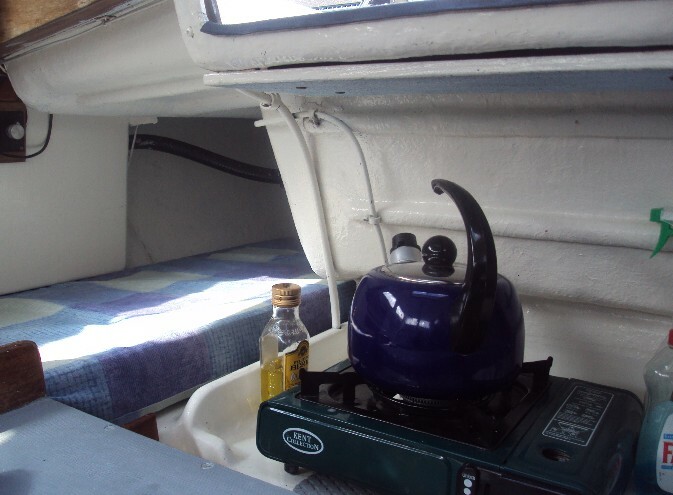 Of course it is very important to get the kettle and stove up and running so as to keep us sailors topped up with a hot drink or two! BUT there are two items that she will need before we are sailing once more, I don't know what I have done with them, Skipper is always teasing me as I often say "I've put it in a safe place" and then I generally forget which safe place I have actually stored things! secondly where o where did I put the chocolate bar tin!! 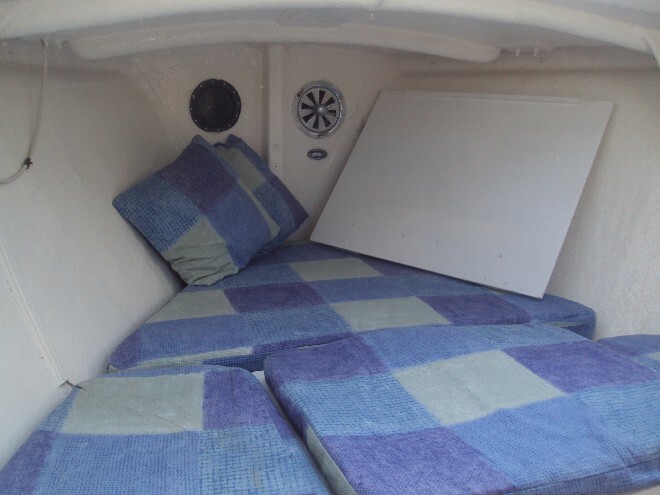 We simply can't go sailing until she has got her curtains hung and we are well stocked with "Ship's rations of chocolate goodies".